The incident took place just after 1200 GMT at Upper Winchendon, near the village of Waddesdon, about 45 miles (72 km) to the northwest of London. 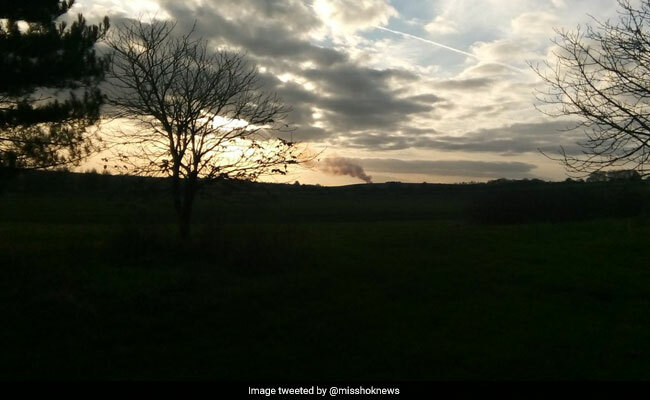 Smoke was seen as the collision between a light aircraft and a helicopter mid-air. LONDON: Four people were killed on Friday after a mid-air collision between a light aircraft and a helicopter in southern England, police said. Police said officers and members of other emergency services including the fire and ambulance services attended the scene.